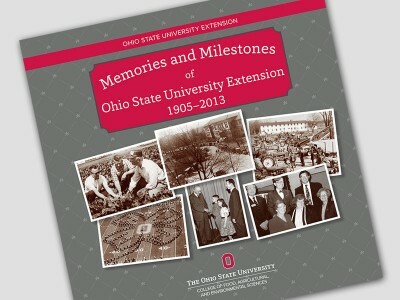 OSU Extension held its annual conference at the Ohio Union in Columbus Dec. 4. Extension faculty and staff heard from Vice President and Dean Bruce McPheron, OSU Extension Director Keith Smith, and keynote speaker Marshall Stewart. Marshall currently serves as an associate director with the North Carolina State University Cooperative Extension Service. JCEP Friends of Extension Awards: Dr. Tony Forshey, Ohio Department of Agriculture, and Bryce Jacobs, Five Rivers MetroParks. Friend of Community Development Award: COSI. JCEP/ESP Meritorious Support Service Recognition: Mary Jo Westfall, Monroe County. CES Extension Support Staff Excellence Award: Cheryl Fischnich, Northeast Region. Charles W. Lifer Excellence in Extension 4-H Award: Bruce Zimmer, Monroe County. Marilyn Spiegel Excellence in Extension Family and Consumer Sciences Award: Melinda Hill, Wayne County. Steve D. Ruhl Agriculture and Natural Resources County Extension Educator Award: Mark Mechling, Muskingum County. OSU Extension Excellence in Community Development Award: David Civittolo, field specialist. ESP Excellence in Extension Award: Vicki Schwartz, 4-H Youth Development. Check out the annual conference photo gallery here.